Mercedes-Benz S-Class Boot Space, Size, Seats | What Car? The S-Class is designed to cover long distances, and you might not be able to fully chill out in the rear if you thought your driver was uncomfortable up front. Relax: he won’t be. There’s plenty of leg, shoulder and head room available for two large adults up there. The big, deeply padded front centre armrest features ample stowage beneath and there are two cupholders. Plus you get a large glovebox that is air conditioned to keep your refreshments nicely chilled. The doors open very wide allowing the most amply proportioned driver and passenger to enter and depart the S-Class with their dignity intact. To aid the process further still, the steering wheel conveniently rises out of the way automatically, on all versions. 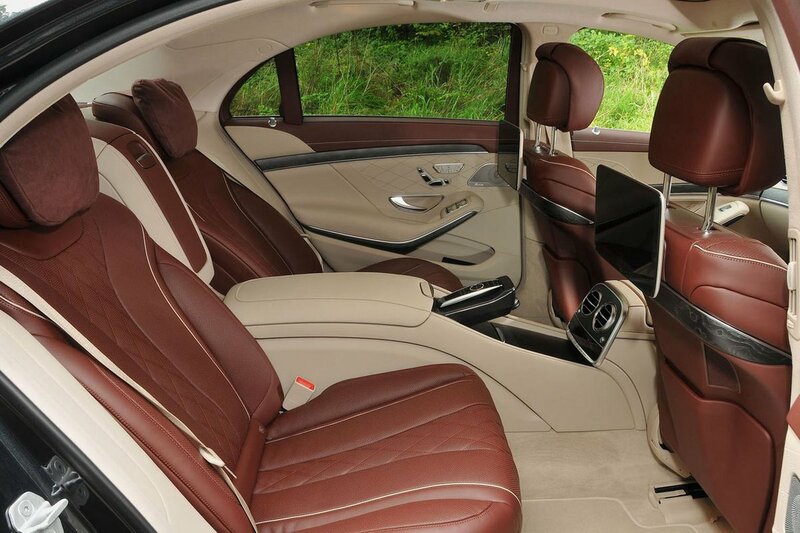 Rear passengers should have no complaints with the space on offer in an S-Class, especially in the long-wheelbase model that’s optional on the S 350 d but standard for everything else in the range. Several rear-seat layouts are available, such as a straightforward three-person bench, or two individual chairs separated by a centre console with fold-out tables and cupholders that heat or cool drinks. You can even specify the Executive Equipment Line that adds electrically reclining rear seats, with a memory function, so you can sit back and put your feet up. How flexible the seating is in the S-Class depends largely on which seating package you specify when you order your car. For example, opting for the two-seat layout in the back obviously cuts down on passenger space. Things are better up front, where even on the entry-level 350d AMG Line, the front passenger seat is electrically powered and has four-way lumbar adjustment. 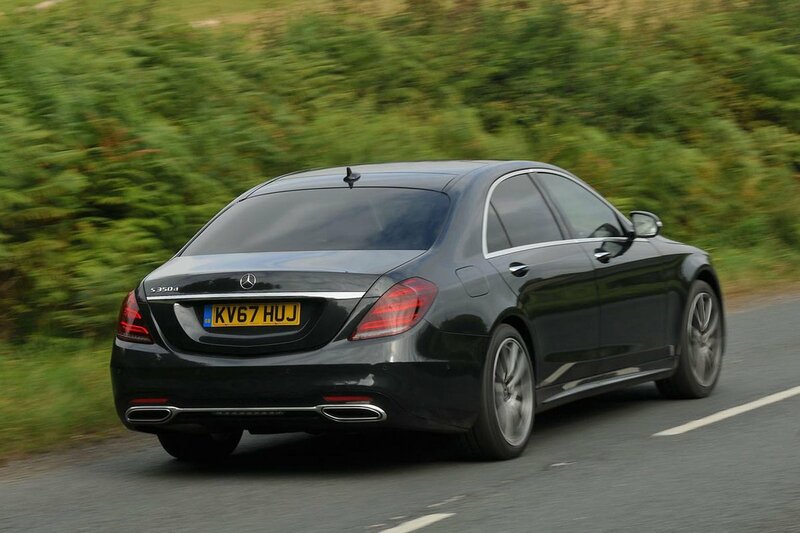 Depending on which engine and trim you go for, the S-Class’s boot capacity ranges from a rather pokey 410 litres in the S560e (blame the big battery pack), to 530 litres in the S500 and S63. The two diesels sit in the middle with 510 litres. In real-world terms, that leaves the S560e a bit tight for what’s expected of such a large car, while the bigger boots offer enough space for a set of golf clubs or a couple of large suitcases. However, regardless of which rear seats you choose, they can’t fold down to extend the boot space. This feature isn’t even offered as an option, so if you need more flexibility, look at a Range Rover instead. At least a ski flap is available and the boot opening is conveniently low, with only the smallest lip to lift heavy bags over.